No Land Grab: On the Road with "the Lid"
On the Road with "the Lid"
A description of Atlantic Yards and Frank Gehry's totally insipid story of how he named "Miss Brooklyn" turns into a laugh riot when the original Chinese gets mangled by machine translation (via babelfish.altavista.com). BTW: "The lid" they keep mentioning is "Gehry." All these motley colors, all these sincere Victoria type construction, took his starry night recollected a monochromatic background will be very wonderful. 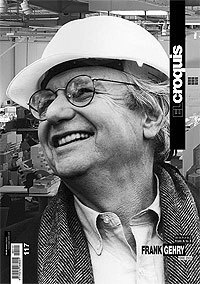 [Gehry] rides in a carriage along the urban district seeks the inspiration, and not only pays attention to a block or a resident organizes, moreover pays attention to a bride, in a movie slow motion. In the lid, this building domain movie direct, had found the lead which he imagines. He calls her to be called "Miss Brew Kelin" (Miss Brooklyn), and uses in an architectural complex central construction □□wave shape this name to do by the white glass the wall surface the tall building. In the Brew Kelin, the picture in Los Angeles, in the lid is designing a medium city. In the lid and the developer all cannot undertake a simple mistake. With "the Atlantic field" the central area will relate in together, after will peacefully have peacefully 住宅街, the busy key communication line, "the Long Island railroad company" the station, a subway central station, will leave uncultivated "the industrial district", the magnificent and expensive long street, a shopping market, a fast-food factory, the new office building, "the Brew Kelin conservatory" the periphery cultural area, has the historical significance the street. Nearly all these facilities all are revolving the space which Ratner vainly hoped for. 抗议者 in art is correct: "The Atlantic field", "Miss Brew Kelin" and the competition location, all violates the spirit which the Brew Kelin constructs. But if the neighbouring area successfully causes this plan to suffer setbacks, they possibly finally feel the regret. They possibly use massive "sensitive" and "and the environment coordination" the plane brown decoration □□slightly big spot development, but far is also mean spirited than the lid in design. This kind of choice looks like a little likes a Ratner recent project □□"the Atlantic center market" (Atlantic Center Mall). NoLandGrab: It's hard to tell exactly what the author thinks about "the Atlantic Field" critics, but here are some hints: "mean spirited" and "they possibly finally feel the regret" (i.e. "they'll be sorry") if they stop the project. We're looking forward to the "fast-food factory" because the one Ratner calls Atlantic Terminal Mall isn't "cheesy" enough.